0 comments on this article	Posted by Dr. Thoma in Uncategorized on April 5th, 2019 , tagged with Arcadia Meat Market, artistic process, AWESOMENESS, Bob Ross, chaos, chronic mental fatigue, chronic stress, CREATIVE JUICES, flowin, helium, HOMEWORK, humankind, Jerry's Artaram, liver, meditative state, paint, pate, physical illness, progrss, SOUL, spirit, yesterday. How much time do you spend living in the moment? No, really. Think back to yesterday. How much time were you in a meditative state or living in the moment or flowin’? One of the best ways to get into a meditative state is engaging in the artistic process–Bob Ross it! Every time I Bob Ross it, I lose track of time and my spirit becomes calm in all the chaos of life. The chaos of life that most of us live in is a relatively new type of chronic stress for humankind. This is a huge reason why so many are inundated by chronic mental and physical illness and fatigue. The more chaos you have the more you need that magical meditative state. Get your Bob Ross on! Slingin’ some paint with your Cornerman (after inhaling some helium??) and Bob Ross wannabe! This was the product of 2-hour backyard meditative abstract art sesh. Soul was feelin’ super fresh! It’s April 5th! Art progress homework due! One of my fav art supply spots is Jerry’s Artarama. This place is lit with everything you need for any of your art projects. The employees are awesome and super knowledgable so they’ll help you with anything you need to get started. Thanks to everyone who has shared their artwork progress with us! Thank you to everyone that came to our pâté party! We had many adventurous paleoketovegans and non paleoketovegans give liver a shot for the first time. Thanks for your awesomeness! Be on the lookout for our next party announcement coming soon! Congratulations to Don C.! Don won the $25 gift card to Arcadia Meat Market! Get your creative juices flowin’! What’s the periodic table have to do with your thyroid, breast, prostate, and ovaries? Check out the second to last column on the right, the green column. At the top you’ll find “F”. Several weeks ago we briefly discussed “F” in our “Whatchu Got In Your Toiletry Bag? Toothpaste Edition” and talked about health concerns of “F” found in your drinking water and toothpaste. Next, head south three blocks on the periodic table till you get to “I”. “I” stands for Iodine and because it’s in the same column as F, Cl, and Br, they share similar physical properties but their individual effects on your body can make or break your health. 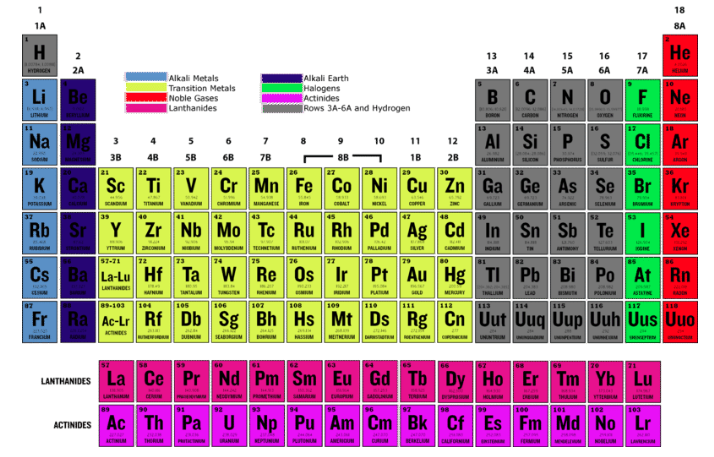 Think back to 10th-grade chemistry and you’ll remember that elements in the same column have the same number of electrons in its outer shell. Since these elements share the same number of electrons in their outer shells, they have similar physical properties, but in your body, the results are completely different and may be the reason for increased breast, thyroid and prostate cancers as well as thyroid diseases and autoimmune dis, autoimmune dat. 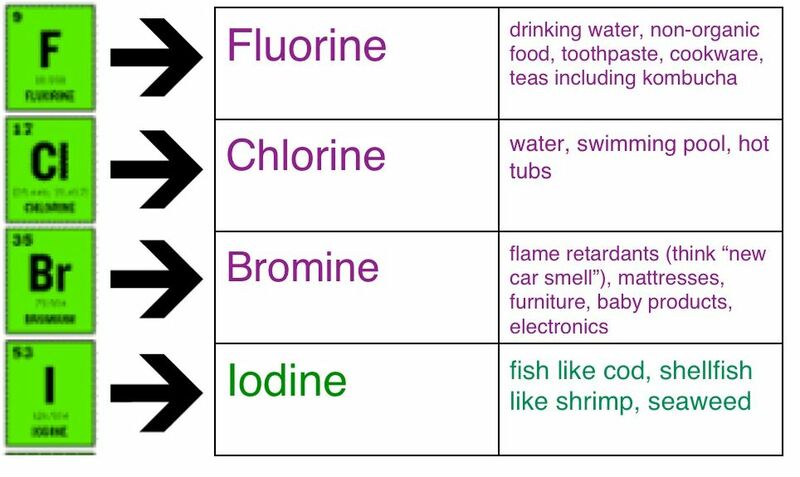 The difference in these elements is that Iodine is essential to your thyroid function and the other elements in the same column destroy your thyroid’s function. Along with your thyroid, your breast, ovaries, prostate, stomach, and skin have an affinity for iodine to keep you healthy. In order to keep your thyroid, breast, ovaries, prostate, stomach, and skin healthy, you’ll want to eat foods rich in iodine and avoid consumption and exposure to bromine. Where can you pick up some of that bromine? F, Cl, Br, and Iodine compete with one another for absorption and hormone production. Bromine interferes with Iodine utilization in the thyroid as well as other areas of the body. 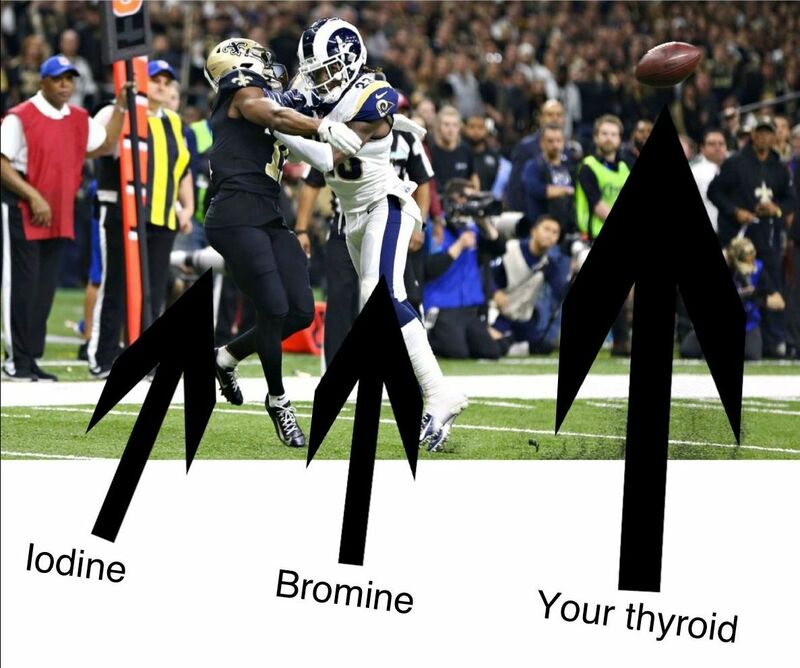 Bromine is like the Rams DB in the playoff game against the Saints. Your thyroid has no chance when bromine is around. Women with Breast cancer have been found to have low Iodine and high bromine. Ingestion of bromine causes hypothyroid and goiter. Animal studies show that bromine in the body results in iodine being eliminated from the thyroid and replaced by bromine. Your glands (breast, ovaries, prostate, skin, GI) love iodine! Your body doesn’t make it. You must get it from your environment. The US RDA (recommended for disease prevention, not for optimal health) for iodine is 150 mcg. Japanese consume an average of 1-12.5 mg of iodine per day (depending on reference). That’s at least 6 times the US RDA for iodine! Ten years after arriving in the US, breast cancer incidence rate of immigrants from Japan increased by 150%. 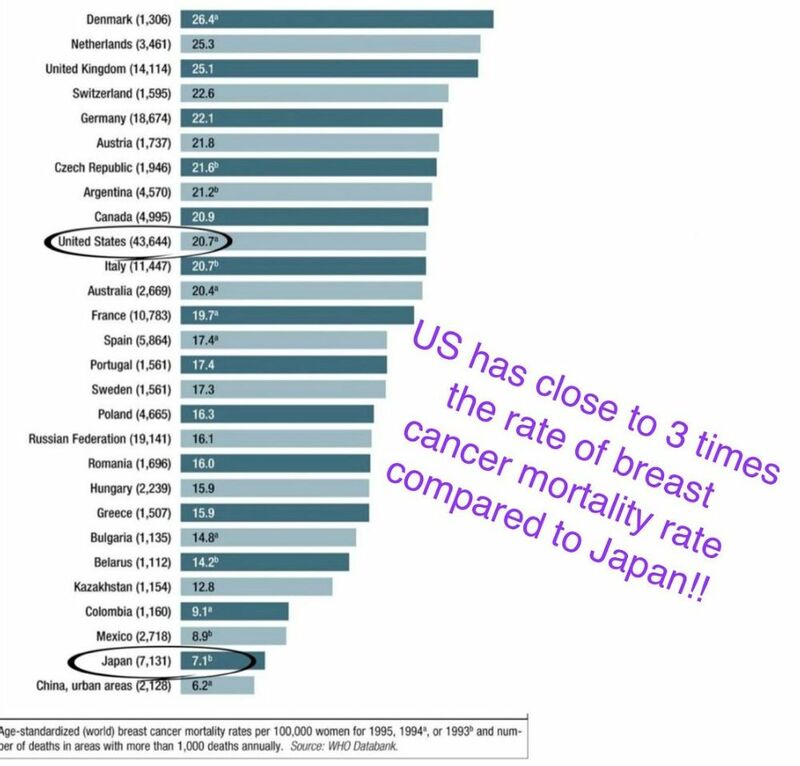 Prostate cancer in US is almost 10 times as high compared to Japan. Infant deaths in 2004 in the US were over twice as high as in Japan. How do the Japanese consume so much iodine? Seafood including seaweed! Yo, Cornerman, my doctor says that too much iodine can cause low thyroid?? This is true according to some studies. But do you eat a diet rich in iodine? Or do you supplement with iodine? If you want to learn more on iodine and testing your iodine levels, check out this book for more info. There’s a lot of fear mongering regarding iodine. If you are concerned about possible effects of too much iodine get tested and be sure to eat a diet rich in selenium to help your body use the iodine. Guess what foods are rich in selenium! But what about mercury in seafood? to get your thyroid jazzed up! Here’s the recipe for my lunch from today! 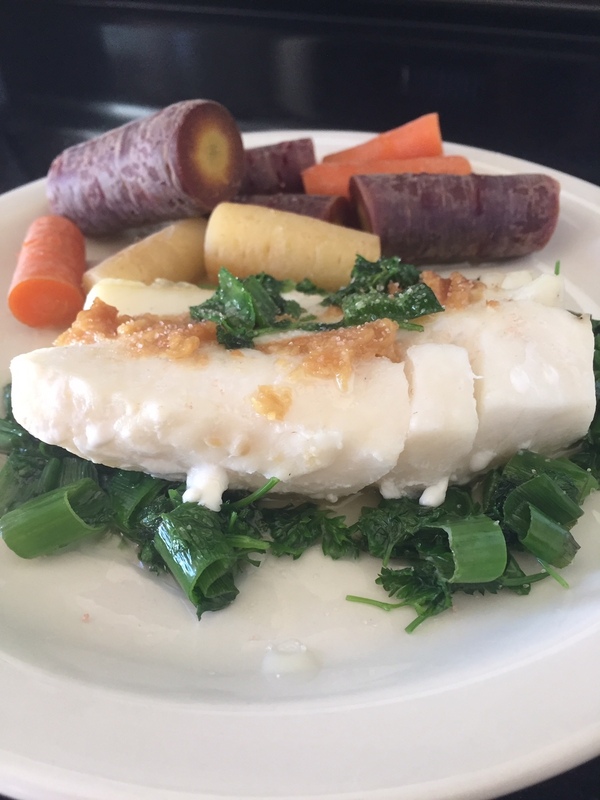 Cod with sauteed parsley, green onions, and steamed rainbow carrots. All the iodine and selenium! Yo, Cornerman! What about my iodine allergy? In the past, you may have had a reaction to an iodine-based dye. This is not the same thing as an allergy to iodine because it generally doesn’t stem from the same type of immune-system response as a true allergy. Also, having a reaction to an iodine-based contrast dye is not the same as an allergy to seafood, which may be rich in iodine. If you have a reaction to shellfish, the iodine it contains is likely not responsible. It’s more likely due to certain proteins in these foods. You can be allergic to all types of shellfish or only to mollusks. This is because these two types of shellfish contain different proteins. In short, if you reacted to an iodine-based contrast dye, you should be able to safely eat seafood and other foods high in iodine. If your reaction was to shellfish of some type, you are probably allergic to something other than iodine. 1. Eating out can be a challenge when trying to avoid F, Cl, Br. Try to limit the times that you go out to eat to special occasions. Get your food from local, organic farmers to limit your exposure to the bad dudes. Hit up the farmers’ market. Here’s one of my faves! 2. Let your new toys off-gas. Crack the windows in your car. If you have that “new car smell” or new furniture keep your windows open. If you use air fresheners, avoid using the common ones and opt for baking soda or essential oils to deodorize instead. 3. Consider upping your iodine and selenium-rich foods. Wild seafood is best. If you eat nuts, Brazil nuts are an excellent source of selenium, but be careful to not overdo these. 4. Purify your shower and bath water. Snag a filter that, at the very least, gets rid of chlorine. 5. Magnesium is an awesome mineral and one of the few supplements I personally take for several reasons. One, it’s antagonistic to fluoride. Taking an awesome magnesium supplement can help prevent unnecessary absorption of fluoride. Here’s one of my top mag supplements. How’s your art homework coming along? One more week to get started! Progress due date is April 5th! Here are a couple art homework masterpieces! 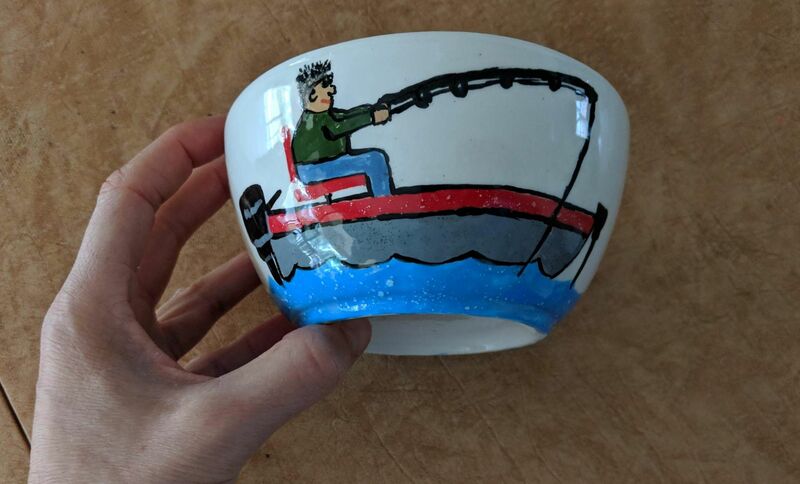 This bowl was made by Joy G for her fiancee! Love it! 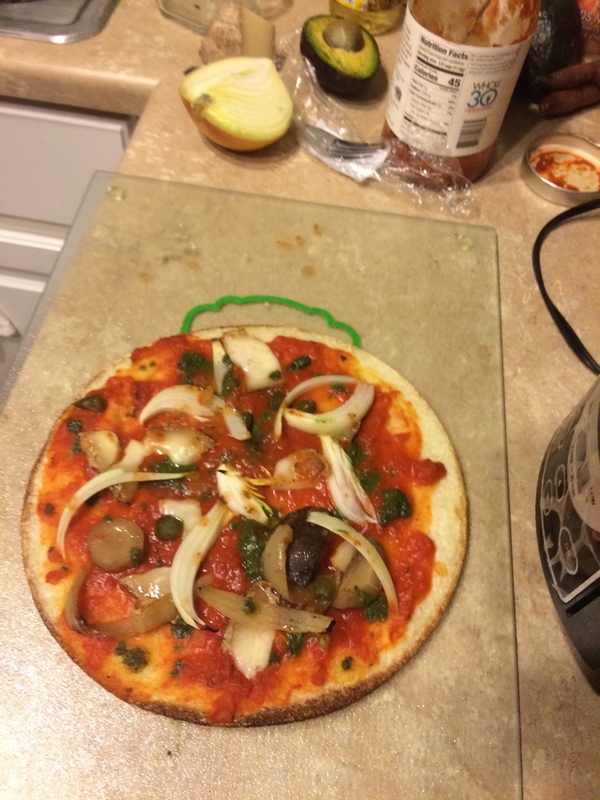 This pizza creation was made by the talented cooking artist James T. How bomb does this look?!! Thanks for sharing Joy and James! WARNING: the information presented here is strictly educational. Talk with your doctor to see if iodine- and selenium-rich foods are appropriate for you. Deleterious effects of perinatal exposure to potassium bromate on the development of offspring of Swiss mice. Dose-response studies on the carcinogenicity of potassium bromate in F344 rats after long-term oral administration. Potassium bromate disrupts mitochondrial distribution within murine oocytes during in vitro maturation. Toxic effects of brominated flame retardants in man and in wildlife. 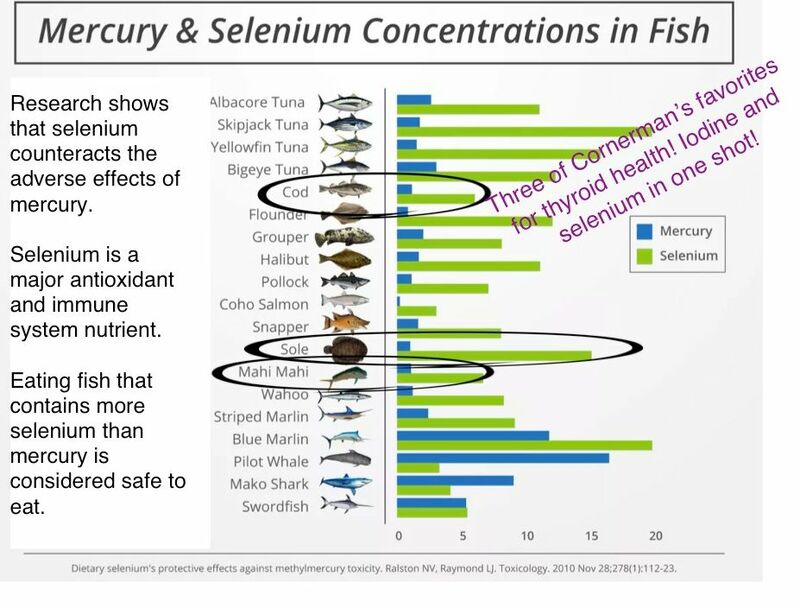 Dietary selenium’s protective effects against methylmercury toxicity.